Hepatopulmonary Syndrome (HPS) is a rare abnormality of the lung which is caused by liver disease. HPSCare.com is an informational website for patients, practitioners, and researchers that is maintained by the Canadian Hepatopulmonary Syndrome Program. For patients or caregivers looking for support and information on HPS diagnosis, treatment and care. For healthcare practitioners looking for information and resources about HPS, including how to refer patients. For researchers interested in HPS research initiatives and opportunities for collaboration. The Canadian Hepatopulmonary Syndrome (HPS) Program is a unique, specialized Canadian clinical and research program for patients with hepatopulmonary syndrome. The Canadian Hepatopulmonary Syndrome (HPS) Program is a unique specialized Canadian clinical and research program for patients with hepatopulmonary syndrome. The program includes the Toronto and Montreal HPS clinics. Your doctor may have referred you to the Hepatopulmonary Syndrome Clinic but you may not be sure as to why you were referred. You can find out more about what to expect from your appointment to the HPS clinic and learn more about HPS to help you prepare for your visit. This website was funded through an unrestricted educational grant from the Mauro Foundation. It was designed with patient feedback and using strategies to maximize usability. The content on HPSCare.com is provided for general information and educational purposes only, and does not replace the advice provided by a health care professional. Always seek the advice of a qualified health provider with any questions that you may have regarding your medical condition. Never disregard professional medical advice or delay in seeking it because of something you have read on this website. If you have specific questions about any medical matter, please consult with your physician. 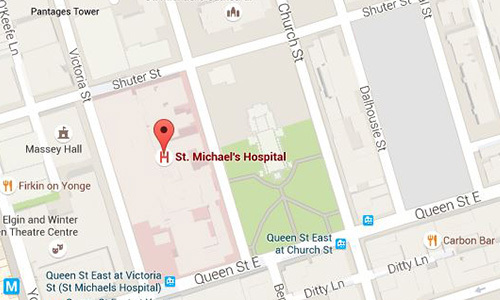 The Toronto Hepatopulmonary Syndrome Clinic is a part of the Respirology Division of St. Michael’s Hospital, Toronto, Canada. 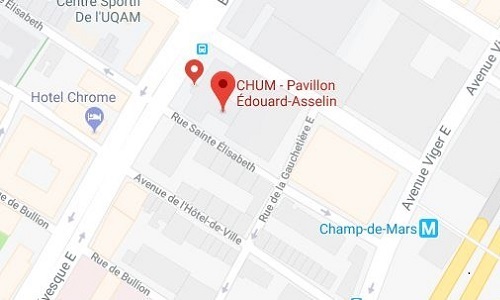 The Montréal Hepatopulmonary Syndrome Clinic is a part of the Respirology Division of CHUM (Centre hospitalier de l’Université de Montréal), Montréal, Quebec.